Who is your favorite greek god or goddess? And why? Personally my favorite god would be Poseidon. I mean you just get mad and create all kind of havoc with water. And I'm a water lover, so that would be awesome! My favorite goddess would be Athena, goddess of wisdom, cities and war. Her symbol is the owl. One of the greatest symbols for wisdom. I don't see how that can get better, but what do you think? My favourite God is Poseidon too! I'm a water girl myself. Love the beach! I can swim 'til the ends of the Earth! But my favourite goddess has got the be Artemis. The independence, the bravery, I just love it. Sworn off boys and has got her own group of hunters- total awesomeness. 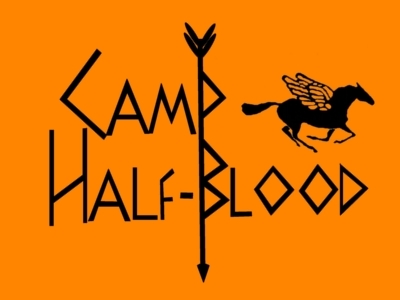 Location : Camp Half-Blood, Of Course!